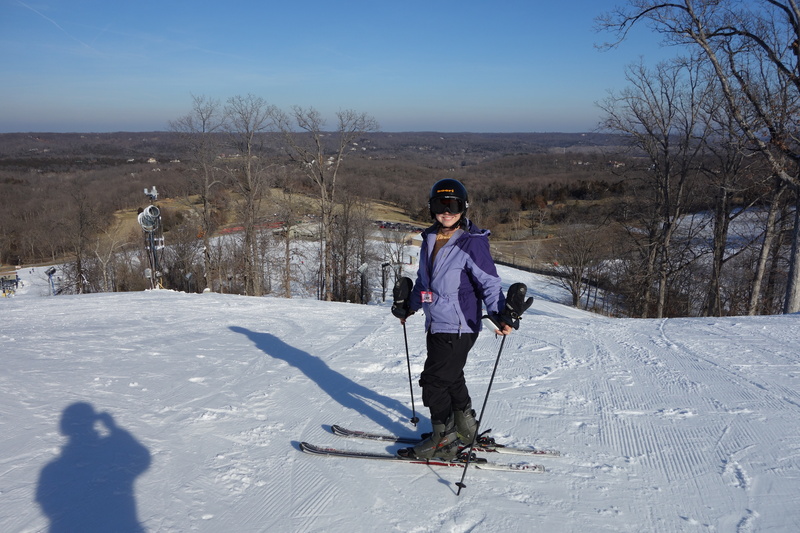 Hidden Valley has downhill skiing 40 minutes from St. Louis! We went skiing today. Downhill skiing. I felt the snow give under my skis, curving left then right, sailing down the open slope. This 310 foot drop is enough to get up some speed, enough that a straight run of twenty or so turns can be glorious as the snow crunches away from the skis. The wind was on my face, what little of it was exposed under the helmet. I thought of all the tips my father had given me over the years, lean forward, sink back, keep your hands in sight, up, down, up, weight on the toes, or was it the heels? My skis were together, the old-fashioned way. The slope was just long enough that I could imagine I was on Cascade at Crested Butte, back when my father skied. I suppose there were also runs this easy at Steamboat, but their names don’t come to mind. Clearly, this is no Verbier. Skiing is fun. It is outside, with views all around. Here at Hidden Valley we saw the smudge of St. Louis streaking the eastward horizon. We saw the surrounding forests of leafless brown trees. There was a crust of natural snow there, nothing like the feel of artificial crunch under my skis. 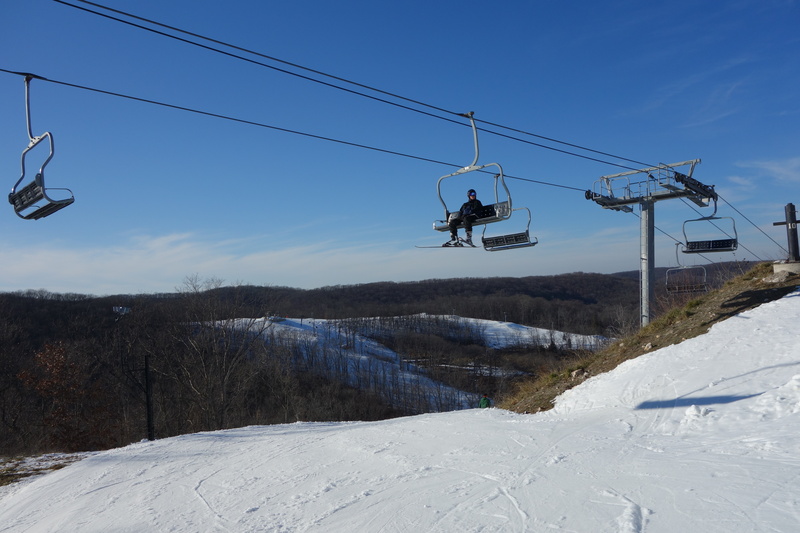 Yes, you can ski 40 minutes from St. Louis. The drop isn’t much, but the lines were absent. The chairlifts were slow. The man trying to take our money for diet Cokes was slow, but there was a fire, and the ski crowd with energy. Renting the boots and skis was easy. In fact this Monday skiing cost $75 including rental and lift tickets. We did enough runs to bring the cost well below $5.00 a run. But as the sun dropped in the west, we turned towards home. Others were just arriving for the Hidden Valley highlight: night skiing. 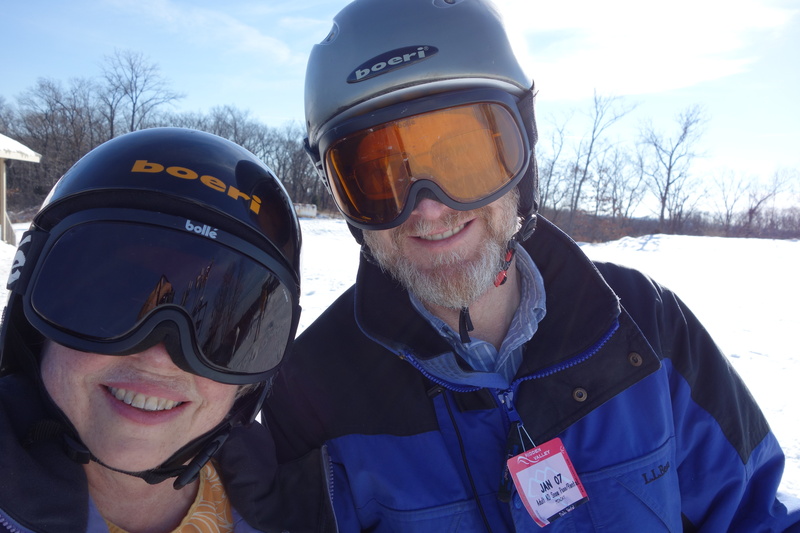 This entry was posted in Exercise, Missouri natural areas and tagged nature, skiing, snow, winter. Bookmark the permalink.